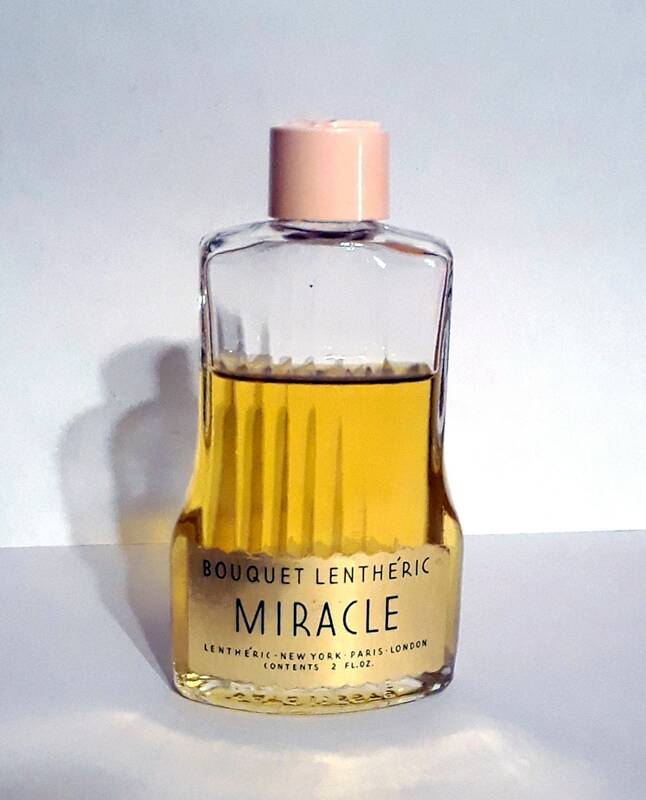 Vintage 1940s Miracle by Lentheric 2 oz Bouquet Lentheric Cologne Splash Discontinued Perfume. The bottle is about 70% full - please see photo for actual fill level. 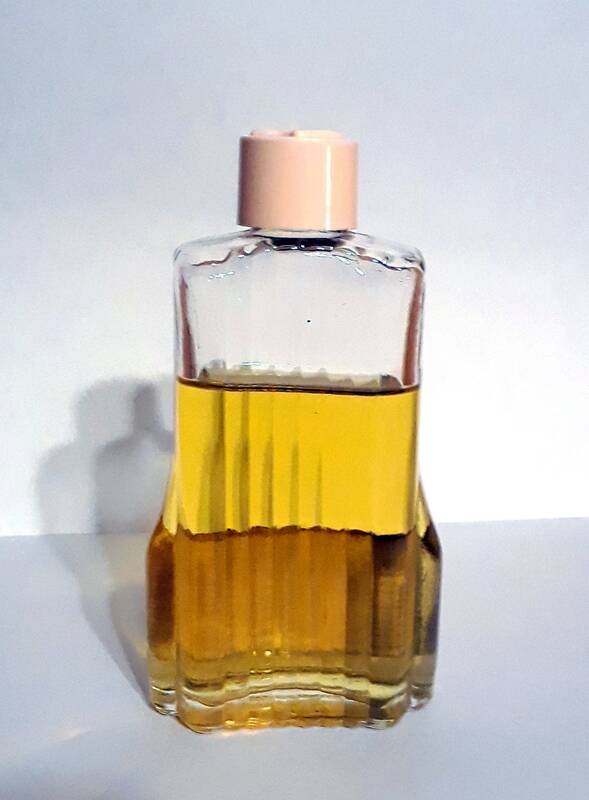 The perfume is old and no longer fresh, but I just tested it and I feel it is still wearable. 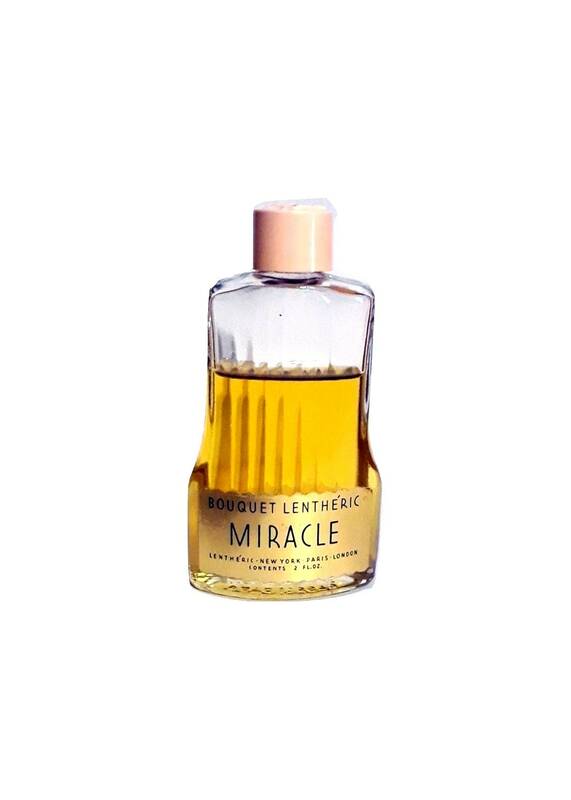 Bouquet Lentheric is a double strength eau de cologne. 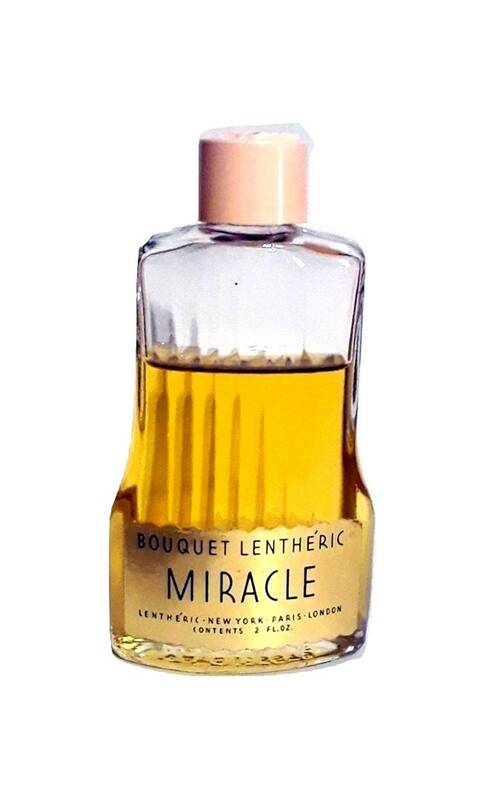 Miracle by Lentheric: launched in 1924 and named after the Max Reinhardt play starring actress Diana Manners Lentheric issued it's perfume alongside the U.S. premiere of the elaborate pantomime 'The Miracle', which opened at the Century Theatre in New York City on January 15, 1924. The back of the program had a full page advertisement for the perfume. The program was by Karl Vollmoeller, the score by Engelbert Humperdinck, and the design by Norman Bel Geddes. Among the many illustrations, are two full-page ink and watercolor renderings of costumes by Norman Bel Geddes. The perfume seems to hae been discontinued sometime in the 1960s. It was classified as a floral leather chypre fragrance for women. Consists of a mixed bouquet of flowers and herbs, just slightly spiced with carnation and lilies, on a leathery chypre base. Middle notes: carnation, lily, camphor, iris, lavender, rosemary, thyme, tarragon, sage, oregano, basil.